In Montana, the Department of Justice (DOJ) Motor Vehicle Division (MVD) has implemented a graduated driver licensing (GDL) program that all teenagers must complete to obtain their first driver's license. The first step of the GDL program is to obtain your learner's permit, which allows you to practice driving while supervised. 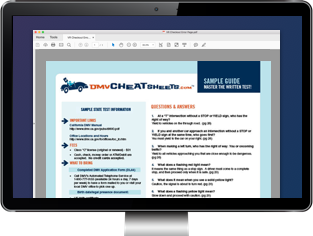 This page gives you information about how to apply for your learner's permit, the driving restrictions you must follow, and how to move on to your full driver's license. If you're new to Montana, you have 60 days to transfer your out-of-state driver's license. If you have an out-of-state learner's or instruction permit, contact the MT MVD directly to see if it can be transferred. You may be able to have your written permit test and vision test waived. NOTE: You will need to surrender your out-of-state driver's license or learner's permit when you visit the MT MVD. For more information about transferring your out-of-state driver's license, visit our Applying for New License (Teen Drivers) in Montana page. 14 1/2 years old and are enrolled in a driver’s education course. You will receive a traffic education learner's license (TELL) that has different driving restrictions (see “Learner's Permit Driving Restrictions" below). Provide proof of your identity, MT residency, and authorized presence in the U.S.
Visit the MT MVD website for a list of accepted documents. Pay the learner's permit fee. Contact the MT Motor Vehicle Division for specific fee information. *NOTE: Your parent or legal guardian will need to give their consent. Before you can get a Montana learner's permit, you must pass the written permit exam. Traffic signs and their meanings. The questions are based on content taken directly from the Montana Driver’s Manual. The MVD also has an app for the drivers test. It is also a good idea to take an online practice test before you visit the Montana MVD, and see if you're ready for the test. Your licensed parent or guardian. A licensed driver that is 18 years old or older and has authorization from your parent or guardian. Everyone in your vehicle must wear a seatbelt. Before you can move on to the next stage of the GDL process, you must first practice driving while supervised. You'll need to complete a minimum of 50 hours of supervised driving, including 10 hours during the night. Hold your driver's permit and practice driving for at least 6 months. Be violation-free in the 6 months prior to your application for the restricted driver's license. Have completed your supervised driving practice (see “Behind-the-Wheel Requirements in MT" above). Have held your learner's permit for a minimum of 6 months. NOTE: You must not have received any traffic violation or alcohol/drug convictions during the previous 6 months before you apply. Your first-year restricted driver's license will allow you to drive unsupervised, but you will still need to follow certain restrictions. For more information on how to apply for your restricted Montana driver's license and how to move on to your full driver's license, visit our Applying for a New License (Teen Drivers) in Montana page.